6" black matt 90 degree elbow used to connect single wall stove pipe to chimneys and vent stacks. Highly durable, 24 gauge construction features a crimped end to easily assemble to stove pipe of similar diameter. Can be used to make angular or gradual turns. 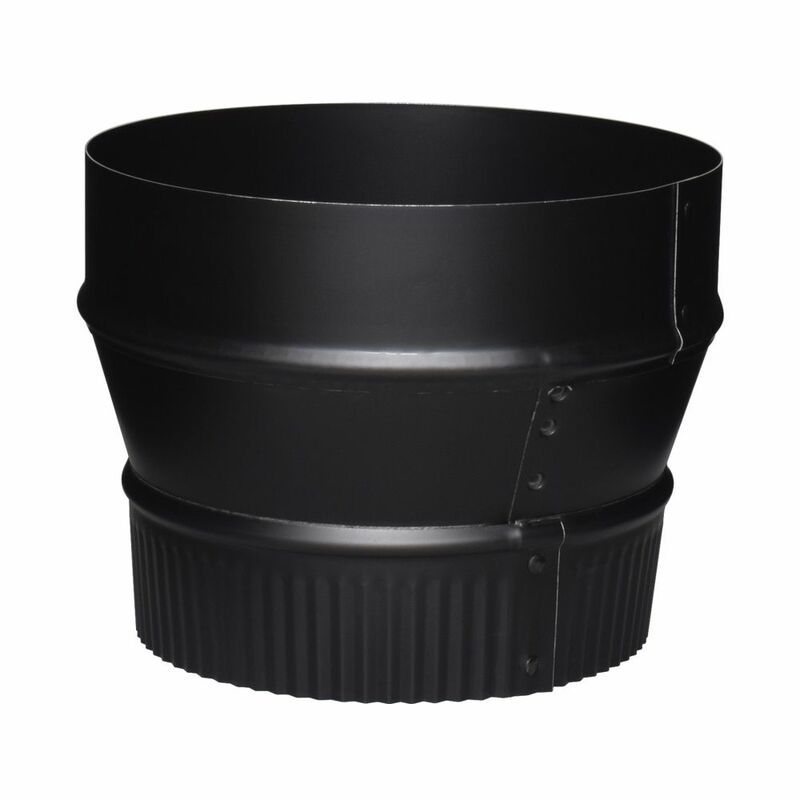 7-inch x6-inch BM Reducer (SE Crimp) The 7" black matt reducer is used for connecting single wall stove pipe to chimneys and vent stacks. Allows for 7" diameter round pipe to connect to 6" diameter round pipe. Sturdy, 24 gauge construction designed for optimal heat efficiency and long-term use. Crimped on one end to easily fit into pipe or fitting of the same diameter.